SEA Jam (South East Asia Jam) is an event that KL Swing proudly hosted in 2013 and we are once again on the committee for 2016. 2013 was amazing: almost 200 dancers from around the world, A-list teachers and new stars alike, descending on KL and dancing our hearts out in KL's first event of its kind. 4-Road trip - 1st event to span 2 countries!! Super fun stop in Malacca! 5-Not March but special new May timing of Frankie's 102nd Birthday! Celebrate at home with dancers from around the world! SO, the big question: How much ah? As you know, the costs involved for our community to bring these teachers here is not small. And the ringgit being at historical lows is not helping. With this in mind, we really want to encourage lots of locals to be at this event -we know it will make an amazing impact on the dance level of our scene. So, we have done our best to help you out. 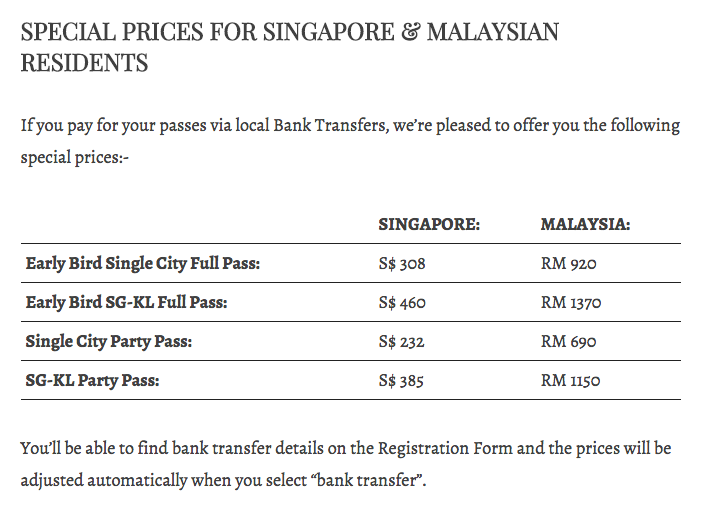 2: As a FURTHER BONUS for local dancers, groups of 10 (of the same pass) can get a group discount. Email info@klswing.com to get into a group! Tell us you want IN! cos we want dancing in KL in 2016 to be AMAZINGGG!